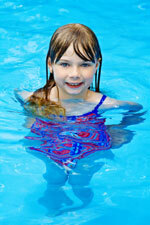 Swim Free Sunday – Wear a Red, White or Blue Swimsuit! Or contact Teri Gentile at 684-5072 or [email protected]. ASHEVILLE NC – July 4th is the most American of all celebrations and the highlight of summer at Lake Julian Park! The park hosts one of the largest fireworks displays in Western North Carolina. Bring your lawn chair or blanket and find a spot along the lake. All seats are perfect for a view of the fireworks display reflected on lovely Lake Julian. Lake Julian Park is located just off Long Shoals Road in Arden. The park offers picnic tables, grills, a sand volleyball court, two horseshoe pits, boat rental and a playground. Bring your family and a picnic supper and plan to spend the evening at Lake Julian Park. Picnic shelters cannot be reserved for July 4 but there are plenty of picnic tables available, first-come, first-serve. The park opens at 8 a.m. Fireworks start at dark. Parking will not be permitted inside the park on July 4. Parking is available in the parking lot of Estes Elementary School located across Long Shoals Road. Wear comfortable walking shoes for the walk from Estes to the park and bring a jacket or sweater. Evenings can be cool at the lake, even in July. Last year’s display attracted over 4,000 people and this year’s show promises to be even bigger! For more information, contact Lake Julian Park at 684-0376. Big Ivy Community Center (Barnardsville): There will be music, food (hot dogs and barbeque), and drinks. Fireworks begin at dark. Black Mountain/Montreat: Montreat will host a parade at 10:30 a.m. Black Mountain will have family fun and fireworks beginning at 7 p.m.
Brevard: Morning 5K/10K Firecracker Run. During the day, downtown streets are closed to an overflowing crowd. Transylvania Community Arts Council hosts its Annual Fine Arts & Craft Showcase. The Classic Automobile Show stretches for blocks and delights even the casual aficionado of 1920s to 1970s vintage vehicles. The Courthouse Gazebo is center stage for day-long musical entertainment. 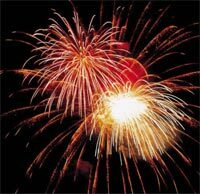 Fireworks at 9:30 p.m.
Cherokee: Celebrate America’s Independence with a bang at Cherokee’s Annual 4th of July Fireworks display, located at the Acquoni Expo Center. The festivities kick off at dark. City of Asheville (Pack Square Park): An event for the whole family, the Ingles Fourth of July Celebration festivities start at 4 p.m. in Pack Square Park and close with fireworks at 9:30 p.m. The day features live music, old-fashioned games, a variety of food from area vendors and a grand fireworks finale. Hendersonville: Fireworks display at dark, viewable from downtown Hendersonville, with free live outdoor music 7-9 p.m. downtown at 201 South Main (Visitors Center). Lake Julian Park: Fireworks begin at dark. Maggie Valley: Red White & Boom! Free admission. Fireworks at Maggie Valley Festival Grounds. McCormick Field: Fireworks after the Asheville Tourist Game. ASHEVILLE NC – Got plans to celebrate the Fall Equinox? What if you could do so in one of the most beautiful campgrounds in Western NC, on the banks of the historic French Broad? What if you could do so while enjoying 12 hours of live music from Todd Snider, Shannon Whitworth and more? What if you could sample craft brews from over 12 breweries including Asheville Brewing, Highland, French Broad, Sweetwater, New Belgium, Sierra Nevada, Abita, Boulder Beer, Natty Greene’s, Holy City, Shock Top, Widmer Brothers and more? Camp onsite or stay in a Hot Springs B&B . . . outdoor gear is optional, cab fare not necessary. See details at www.FrenchBroadFallFest.com and make plans to buy tickets on July 1! ASHEVILLE NC – Chimney Rock at Chimney Rock State Park hosts the Great American Backyard Campout Saturday-Sunday, June 23 & 24; 4pm-8am. Cost: $32 for Adults, $10 for Annual Passholders, $15 for Youth (ages 6-15), $5 for Grady’s Kids Club Members (includes Park admission for Saturday & Sunday). To celebrate the National Wildlife Federation’s Great American Backyard Campout®, Chimney Rock is hosting a single special night of camping limited to 40 guests. Don’t miss this rare opportunity to join us for a campfire, s’mores and star gazing. After a taste of rock climbing, we’ll offer a night walk with our Park naturalist to see what goes bump, or howl or screech in the night. Be sure to bring the whole family! To register by June 22, please call (800) 277-9611. ASHEVILLE NC – Super Summer Meals are now available for ALL kids under 18. To find the most convenient Super Summer Meal site, simply text “FOODNC” to 877877, put in a street address or zip code, and get a list of all locations within a 10 mile radius. A complete list of the sites can be found below.NOTE: Some school sites are closed on Fridays if the school is closed and no other programs operate on the site those days. What is Super Summer Meals? Buncombe County Schools is one of 12 out of the state’s 115 school districts to serve as a pilot for expanding summer meals. The pilot program is a collaboration between Buncombe County Schools, Buncombe County Parks, Greenways & Recreation, No Kid Hungry NC, the NC Department of Public Instruction, and the NC Department of Health and Human Services’ Division of Public Health. The US Department of Agriculture has granted a special waiver to the pilot participants that allow them to waive some of the administrative requirements and receive the highest reimbursement rates for meals served. Buncombe County Schools is receiving a mini-grant from No Kid Hungry to help defray operational expenses. Learn more. ASHEVILLE NC – We all love spending the long, sunny days of summer outdoors with our furry companions, but being overeager in hot weather can spell danger, warn ASPCA experts. 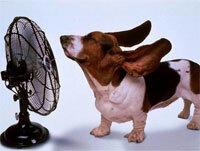 Take these simple precautions, provided by the ASPCA, to help prevent your pet from overheating. And if you suspect your pet is suffering from heat stroke, get help from your veterinarian immediately. Never leave your animals alone in a parked vehicle. “On a hot day, a parked car can become a furnace in no time – even with the windows open – which could lead to fatal heat stroke,” says Dr. Louise Murray, Director of Medicine at ASPCA Bergh Memorial Animal Hospital. Also, leaving pets unattended in cars in extreme weather is illegal in several states. ASHEVILLE NC – Learn how to enter the Flower Show at the NC Mountain State Fair and hear about the new components of the design section. Garden clubs, garden societies, and garden enthusiasts are invited to attend. Our speaker will tell you how to “Win Blue Ribbons”, and create floral designs. This is the BEST way to learn what has changed from last year. The “Hanger” accessory, in the design section of this year’s Flower Show, will be available for sale at cost. Fair catalogs and cool summer drinks will be provided. This free event is Tuesday, June 19 from 2 – 4 p.m. in the Virginia Boone Heritage Building at the WNC Agriculture Fairgrounds. Space is limited, so RSVP to [email protected] before June 15. The 2012 Entry and Award Catalog is available online at www.mountainfair.org. Click here for Department M Flower and Garden. This Demo is sponsored by Extension Master Gardeners of Buncombe County and the Flower and Garden Department of the NC Mountain State Fair. ASHEVILLE NC – Effective Teacher Training, a series of classes recommended for those interested in substitute teaching, will be offered on four consecutive Saturdays beginning July 21, by the Asheville Graduate Center at UNC Asheville. Effective Teacher Training is required for those substituting in the Buncombe County and Asheville City Schools. This course also qualifies for three continuing education credits for already certified teachers. The four-session course will cover behavior management, developing teaching packets with suitable materials, age appropriate instruction strategies, effective strategies for students with learning disabilities, emergency procedures, legal issues and more. Sessions will be held from 9 a.m.-4:15 p.m. Saturdays, July 21-August 11, at UNC Asheville. Cost is $95, plus textbook, for all four sessions. Participants completing the four sessions will receive a certificate of completion and will be eligible for three continuing education units. For more information or to register, visit the Asheville Graduate Center website or call 828.251.6099. ASHEVILLE NC – For 28 youths, this week was a chance to fill the boots of firefighters at the City of Asheville Fire Department’s Fire Escape camp. For the third year in a row, AFD hosted the three-day camp for boys and girls in grades six through eight. Attendance at the camp, held at the Asheville Firefighters Association Camp off Clayton Road, has grown since it began in 2010.“We got some repeat campers, and a few told their friends. Word is getting out and we filled up pretty quick this year,” said AFD Public Information Officer Kelley Klope.The department’s interaction with students at Asheville Middle School through the In Real Life partnership also contributed to the turnout, Klope said. Kids got to learn how to use turnout gear, the suit and equipment firefighters use when entering burning buildings, unroll and connect hoses and take a turn in the 100-foot-tall aerial bucket. They even got a taste of the obstacle course training that Asheville’s firefighters use to stay in top form. The camp also serves as an introduction to other opportunities the AFD offers, including Asheville Fire Explorer Post 77, which trains young adults ages 14-21 firefighting skills. Several current firefighters with the department got their start in Post 77. Fire Escape camp was provided free of charge, thanks to the participation of the Asheville Firefighters Association and Asheville firefighters who volunteered their time over the three days. The AFD also wants to thank Firehouse Subs and Asheville Pizza and Brewing for donating lunches. ASHEVILLE NC – Unlike many agricultural areas in the country, Western North Carolina is home to prime farmland and another important resource: forests. Area forests provide just the right habitat for mushrooms and other distinctive foods to thrive. Much of the area’s forestland is owned and managed by farmers, but it is also utilized by skilled, responsible foragers. ASAP highlights both cultivated and wild local mushrooms in their Get Local initiative this month. Greg Carter of Deep Woods Mushrooms, who sells his crop at four area farmers tailgate markets and to nearly every restaurant in the Hendersonville area, says he’ll definitely have shiitake and oyster mushrooms this June. He also often forages for chanterelles and chicken of the woods. “June should be peak season for chanterelles and chicken of the woods,” shares Alan Muskat, a renowned local mushroom and wild foods expert. Muskat and other experienced foragers, like Carter, will bring wild mushrooms to area tailgates and sell them to area Appalachian Grown™ partner restaurants throughout the month and into summer and fall. For those interested in learning about foraging and indentifying edible wild mushrooms—which both experts stress is not a subject to be taken lightly—Muskat is leading a special workshop in conjunction with ASAP’s Get Local initiative. The event, Stalking the Wild Mushroom, will be held June 16 from 2:30 until 5:30 pm at Highland Lake Cove in Flat Rock. Attendees will learn how to safely find and identify morels, chanterelles, and chicken of the woods. That evening, participants are invited to bring their foraged mushrooms back to Asheville’s Zambra restaurant; chefs will incorporate the day’s finds at no extra charge. Tickets are $40 per person. To register or for more information, visit notastelikehome.org and fromhere.org. To find a complete list of area farmers cultivating mushrooms, as well grocers and tailgates stocking their products, search ASAP’s online Local Food Guide at appalachiangrown.org. There, also find more restaurants getting local and serving mushrooms this month and beyond. You are currently browsing the Asheville NC News blog archives for June, 2012.